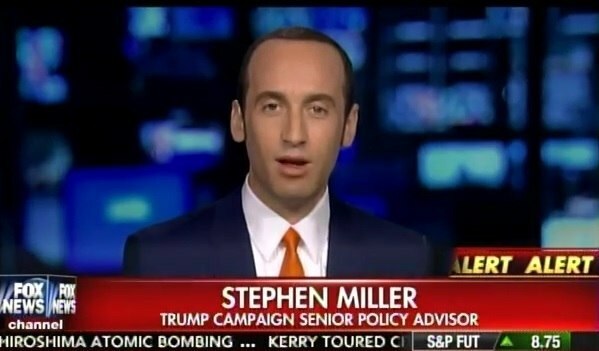 Trump Campaign Senior Policy Advisor Stephen Miller joined America’s Newsroom this morning to discuss the Colorado voter-less delegate scam and the state of the race for the Republican nomination. Stephen Miller may be the brightest official inside of politics today. The former Jeff Sessions’ staffer joined the Trump campaign in January. Miller went on America’s Newsroom today to discuss the Colorado voter-less scam and the current state of the GOP race for president. This was another excellent interview by Stephen Miller. …One of the big media myths that I’d like to bust today – Cruz isn’t winning more delegates because of a superior organization. Cruz is winning more delegates because of inferior ideas. In other words, Trump is challenging 40 years of failed orthodoxy on trade and immigration. So he threatens established interests. Cruz doesn’t. Cruz is with the donor class on trade and immigration. Three in four delegates are chosen by the party. So they are going to tend to favor Ted Cruz… Cruz performs better with party insiders. Trump performs better with voters… Cruz doesn’t win with voters. Cruz wins with party insiders. If I were Senator Cruz I wouldn’t be crowing about winning a voter-less election.